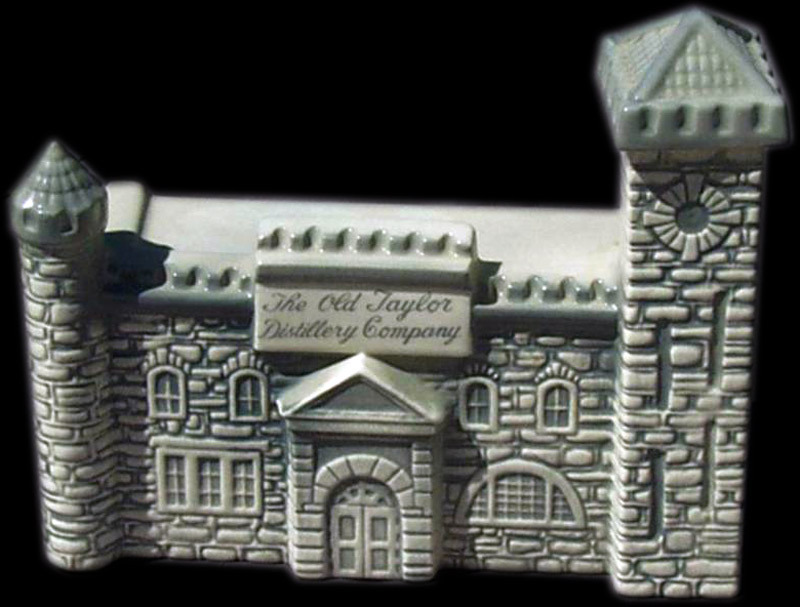 The Old Taylor Distillery in Frankfort, Kentucky seems to have at least two building replica versions. Most common is a pot metal coin bank with a copper finish. The other, a gold-colored presentation piece mounted on wood in a glass showcase. 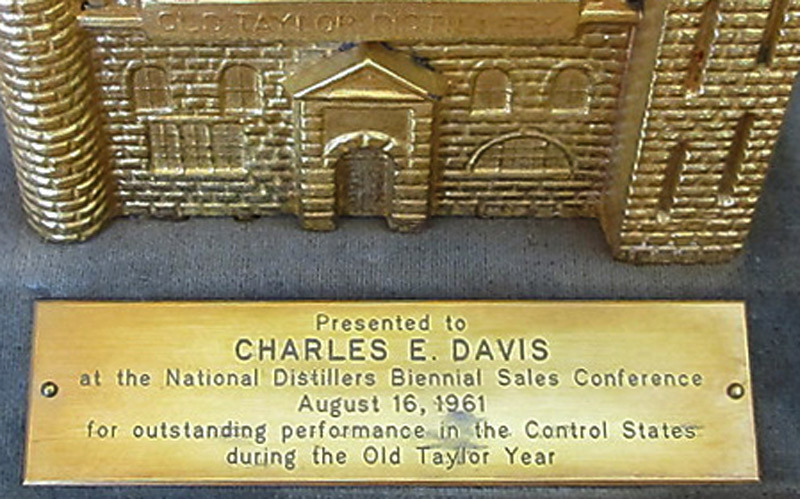 This piece was made as an award and the plaque reads, “Presented to Charles E. Davis at the National Distillers Biennial Sales Conference on August 16, 1961 for outstanding performance in the control states during the Old Taylor Year." 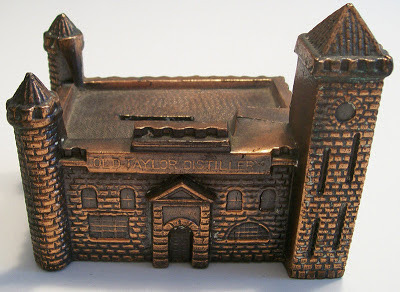 Both seem to be from the same mold and the presentation replica may be painted or finished in gold rather than copper. Also made was a ceramic replica of the distillery as a liquor bottle / decanter. 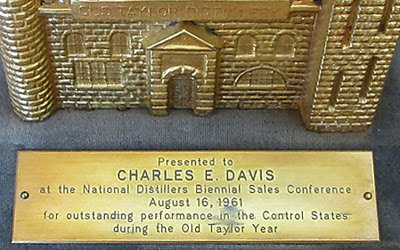 And, of course, it was made into a liquor bottle. How could you forget that? Just because it is ceramic? Joe K.
Hey Joe, thanks for the reminder. 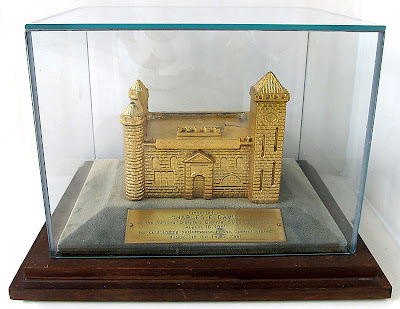 I added a photo of the decanter to this post.